I really like milkweed. It smells heavenly. 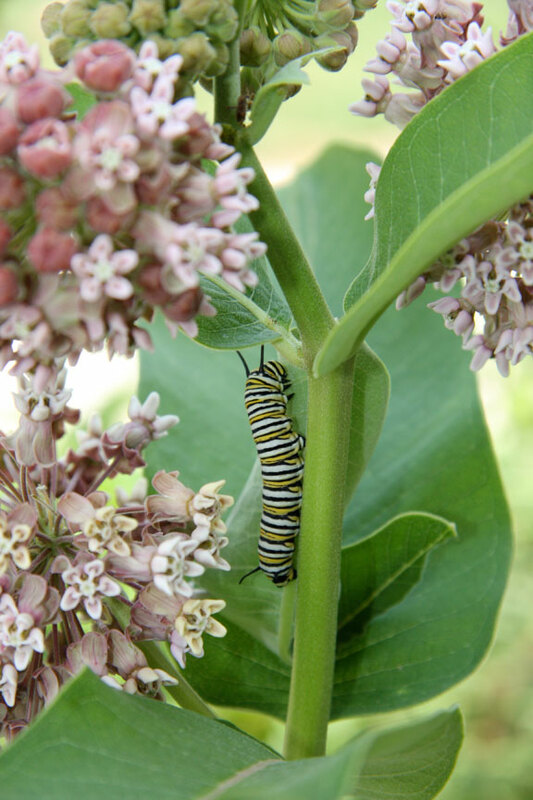 It started coming up in the front garden a few years ago and I started to see monarch butterflies. 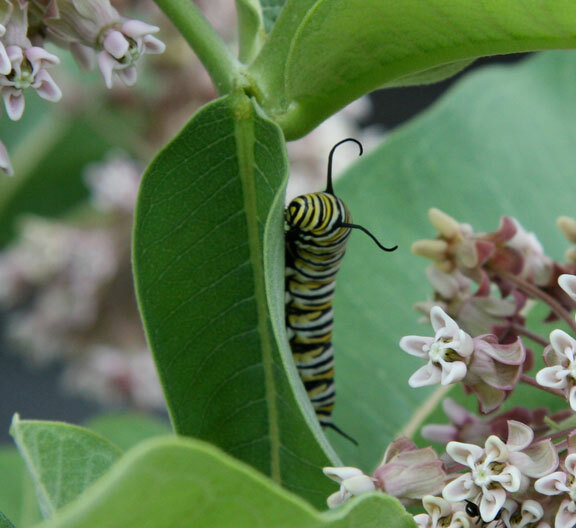 The other day, as I was walking into the garage – I noticed one beautiful monarch caterpillar munching on the milkweed. Here is an interesting time-lapsed video (on YouTube) of a monarch caterpillar forming a chrysalis.